Did 49ers' Aldon Smith Receive Preferential Treatment from Santa Clara County Sheriff? As San Francisco 49ers All-Pro linebacker Aldon Smith remains on “indefinite leave” from football following his arrest last month on suspicion of drunken driving, questions are being raised about whether he received preferential treatment during the booking process. Smith enjoyed an expedited trip through the Santa Clara County Jail, according to court records and information uncovered by the NBC Bay Area Investigative Unit, and was released several hours earlier than standard procedure is supposed to allow. The Investigate Unit has also confirmed Smith was invited to the sheriff’s shooting range more than a year after three illegal assault weapons were found at his South Bay home. Did Aldon Smith Receive Star Teatment? Court records obtained by the NBC Bay Area Investigative Unit show that Aldon Smith was booked into the Santa Clara County Jail on Friday, Sept. 20, 2013, at 9:40 a.m. on suspicion of driving under the influence of alcohol. The 49ers player was released from jail at 11:20 a.m., after spending about an hour and 40 minutes in the jail, according to a voicemail left by Sheriff Laurie Smith in response to questions by the NBC Bay Area Investigative Unit. During an on-camera interview, one Santa Clara County Jail deputy, who asked to remain anonymous, said the expedited release of Aldon Smith did not follow typical jail protocols and procedures. In addition to the deputy, other current and former jail staffers have told the NBC Bay Area Investigative Unit that individuals arrested for suspicion of driving under the influence of alcohol are typically held in the jail for a minimum of five hours and a maximum of eight hours. From his early morning arrest to the impact if will have on Sunday's 49er game and beyond. NBC Bay Area reports. SLIDESHOW: Did Aldon Smith Receive Star Teatment? The star 49ers player was taken to the jail after he was arrested by San Jose Police at 8 a.m. following a call to a home on Bentley Ridge Drive in southeast San Jose. 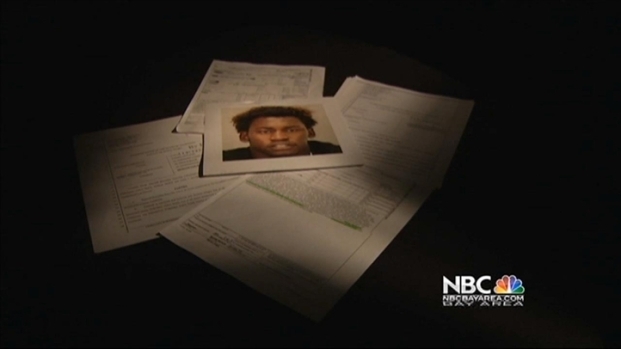 Records show, a breath test measured Aldon Smith’s blood-alcohol content at .151, nearly twice the legal limit. 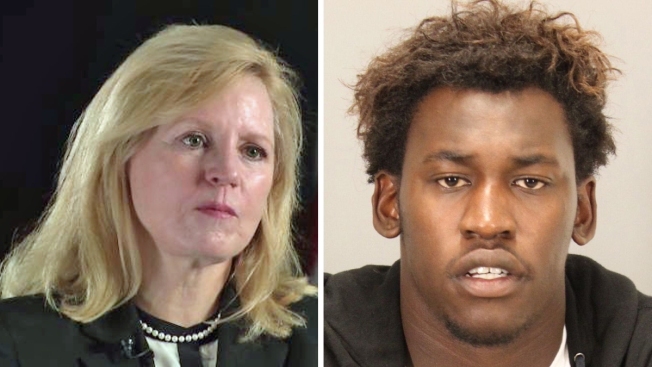 Sheriff Laurie Smith was informed by the NBC Bay Area Investigative Unit that several current and former members of her department are questioning the preferential treatment received by Aldon Smith after his DUI arrest. “The process is the same for everyone who gets booked and arrested,” Sheriff Smith said. But that’s not what the public record shows. After he was released from jail at about 11:20 a.m. on that Friday morning, Aldon Smith reported to the 49ers training facility where published reports on Twitter showed he was practicing with the team at 12:40 p.m., just three hours after he was booked into the jail. In addition there are questions about an interaction between Aldon Smith and the Santa Clara County Sheriff’s Department this past June. On Saturday, June 15, Aldon Smith and several of his 49er teammates were among those invited to a fundraiser at the sheriff’s shooting range, to raise money for the non-profit Sheriff’s Advisory Board. The event included current members of the Sheriff’s Advisory Board, prospective members, 49ers players, Santa Clara County Sheriff’s staff and personnel, and Sheriff Smith confirmed she was also at the fundraiser. This gathering came almost a year after a June 29, 2012, party at Aldon Smith’s 8,000-square-foot home in the foothills east of San Jose. Gang members crashed the party, court documents allege, which is when Smith fired off a .45-caliber handgun twice from his balcony to get the party to break up. Former 49ers player and current Tennessee Titan Delanie Walker was at the party and is also named in two civil lawsuits. Later, a shoot-out took place and two guests were shot, and are now suing Smith – and Smith himself was stabbed during the party that got out of hand, according to court documents. Smith was not a suspect and has not been charged for the shooting of the two party guests. At the time, the only part of the story that was publicly revealed was that Smith had been the victim of a stabbing at his own house. But, the day after the party, Santa Clara County Sheriff’s investigators went to Smith’s home. He consented to a search, documents show, and detectives found two rifles in his bedroom, including an Armalite AR10-T .308-caliber rifle, which is an assault weapon banned for civilian use in California. On a second search on July 12, 2012, court documents state that detectives found three more guns, including a Bushmaster ACR Rifle chambered for 5.56 mm NATO and a Bushmaster Carbon-15 .223-caliber rifle – two more illegal assault rifles. “If someone is under investigation for gun play, I don’t believe it is justifiable to bring him to the sheriff’s range to use county guns and ammunition,” the jail deputy said. It is unclear why the All-Pro 49er wasn’t charged with any crime until Oct. 9, 15 months later, by the Santa Clara County district attorney on three felony weapons charges. Smith is scheduled to turn himself in to law enforcement later this month when he is released from rehab. No court date has been scheduled at this time on the illegal weapons charges. But, in an interview with the sheriff, Laurie Smith denied that it was inappropriate to have Aldon Smith at the sheriff’s shooting range event and along for a ride in a sheriff’s helicopter. And she repeatedly stated that Aldon Smith was “just a victim” – despite the discovery of the illegal assault weapons at his home the previous year. The NBC Bay Area Investigative Unit questioned Sheriff’s Smith’s interactions with Aldon Smith while his party was under investigation by her department and while her department was investigating illegal assault weapons found in his home more than a year earlier. Sheriff Smith also confirmed that Aldon Smith was allowed to shoot the department’s high-powered rifles at the fundraiser and ride in the department’s helicopter. But, as far as Sheriff Smith sees it, there was no conflict of interest as Aldon Smith was under investigation by her department and simultaneously a guest at a sheriff’s fundraiser. Sheriff Smith told NBC Bay Area's Investigative Unit she didn't see any conflict. Two experts in criminal justice don’t see it that way. “At a minimum the district attorney's office is probably going to want to talk to the sheriff's office and make sure the investigation was not in any way tainted,” said Kevin Ryan, a retired judge and former U.S. Attorney for the District of Northern California, who has no direct connection to the case. Ryan said the interactions at the shooting range in the middle of a criminal investigation creates an appearance issue for Sheriff Smith.